Global climate change is a contentious issue. When we discuss climate change, we should realize that there is a time scale. Different mechanisms will drive climate change of different time scales, from 10^8 to 10^2 year time scales. Each had their controlling mechanisms, which will also be presented, analyzed and discussed. Time series signal contains many physical as well as artificial components that can only be perceived when separated. Generally signal is composed of four parts: trend, periodical, discontinuity, and stochastic signals. Without interference, trend is better separated using zero phase filter like Iterative Gaussian Smoothing Filter. 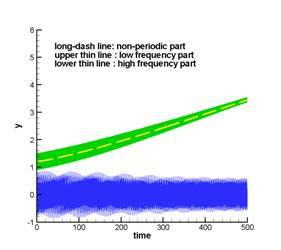 Rather than spectrum analysis, periodical signal is better viewed in time-frequency plot due to its time resolution. The showing of frequency changing with time in time-frequency plot in many cases reveals abundant physical phenomena. 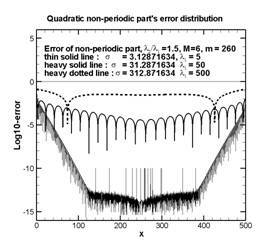 However, due to various data acquisition conditions and maintenance procedures, quality of data sometimes is degraded by lots of discontinuities, resulting in poor time-frequency resolution and frequency contamination in spectrum analysis. In this presentation, several approaches are explored to remove discontinuity. Examples including strain meter and ground water signals showing significant improvements both in spectrum and time-frequency analysis. Project of monitoring of the fault activity using 3-component Gladwin Tensor Strainmeter (GTSM) was initiated by the Central Geological Survey of Taiwan in October 2003. These instruments are intended to supplement the deformation observations from the continuous GPS arrays as part of a systematic program of plate boundary observation across Taiwan orogenic belt. These instruments are installed at a depth of approximately 200 meters at 12 sites of 4 clusters which provide 3 component strain data on both crustal strain accumulation and transient strain variations induced by environmental change and earthquakes. At the beginning of data processing, the time series signal induced by environmental and tidal effects need to be separated in order to evaluate the strain rate change induced by tectonic activity. approaches are explored to remove discontinuity. Examples including strain meter and ground water signals showing significant improvements both in spectrum and time-frequency analysis.